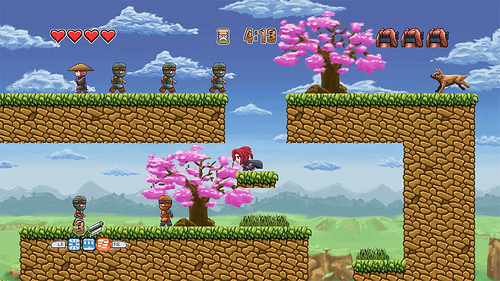 Looks like some fun ninja platforming. I’m adding this to my list of platformers to play. I would recommend some more…but I’m completely blanking on 2D platformers (indie or commercial) with a positive female protagonist. If you have Xbox Live you should definitely get Saints Row: The Third (a ridiculous third person shooter) while it’s still free. 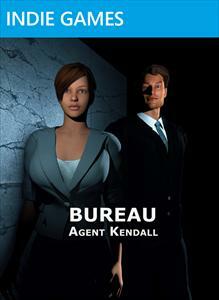 Not only can you play as a badass female protagonist with Laura Bailey’s voice, you can play as any size, shape, color person or alien you want. I once created something that resembled a Dragonball character more than a human. Thank you very much for the article – your point of view about the game is very interesting, and I especially enjoyed when you talked about Akane as if she was a “live” person, even if there are no dialogues inside the game: her “behaviour” is something I put a lot of care on, and knowing that it “hit the mark” is really an achievement for me. About the look of Akane on the cover: her non-so-practical look is a small tribute to two of the most famous kunoichi from the history of the videogames – a mix of Mai Shiranui (Fatal Fury / King of Fighters), with a bit of Ibuki (Street Fighter 3/4). Really there was no attempt to suggest the game would feature sexual or suggestive content inside. Screenshots are pretty clear about it. However, you’re not the only one who objected about her look on the cover (someone even got offended somehow), so it’s something I’m definetely addressing with my upcoming platform game, Amazing Princess Sarah: I’ve thrown out of the window the cover I made (a few days of work “lost”), contacted a (much better than me) external artist, and let him draw a new cover, “safer” than Akane’s one (and a lot safer than Sarah’s older one, – which can still be seen on my website). PS: Sarah too will be a strong woman hero – same “blood” as Akane’s, hope you’ll enjoy her! If someone was offended by this, I would say they probably didn’t play the game, just saw the cover… and probably should avoid XBox Live in general. But again, that’s a another reason cover art is so important. Everyone has a right to their feelings, and if someone was offended- okay. But really one must look at how much intention there was to offend in the first place. This is a very great game, with a cool gender flip that just happened to use some questionable cover art. And in the veritable ocean of sexually objectifying games, this isn’t really the game to call out as “sexist”. I guess Haruneko just didn’t live up to his promise and make the Sarah cover even more horrible. I will NOT be buying these games as I will not reward this blatant misogyny just to grab a buck. If your game doesn’t feature this stuff, you shouldn’t put it on the cover as you are stating that women are just props, just tools used to sell a game. I won’t be rewarding terrible misogynart. I think the term misogyny gets thrown around a bit too much on the internet. Misogyny involves a deep hatred of women, whether conscious or unconscious. It looks more like this developer had good intentions, but messed up because of how normal sexual objectification is in gaming and really everywhere. He probably didn’t even consider it when making the cover art. Being a generally good person that’s been raised in a sexist culture is much different than being a misogynist.